Houston, you may have a housing problem. Texas is the heart of America's energy industry, which is currently under assault by tumbling oil prices. The days of $100 oil are gone -- maybe forever -- and that means oil companies are cutting jobs -- thousands of them. That's scary for a Texan real estate industry that had been cruising along in recent years thanks in part to the state's booming energy business. Credit Suisse believes home construction could tumble 20% in Texas this year. "Employment growth is one of the most important drivers for housing, with job and income growth driving both local demand and increased population from relocations," Credit Suisse analyst Michael Dahl wrote in a research report this week. 'Inevitable' job cuts: Last month, when oil was still trading near $60 a barrel, the Dallas Federal Reserve Bank warned that Texas employment could plunge by 125,000 jobs during the first half of 2015. Now that oil has dipped below $45, that estimate may be optimistic. A number of large, Texas-based energy companies have recently announced job cuts, including 7,000 by Baker Hughes (BHI) and 9,000 by Schlumberger (SLB). Not all of those jobs cuts will take place in Texas, though it's easy to see how at least a chunk of them will be. "Slow job growth is inevitable in Texas," Dahl wrote. 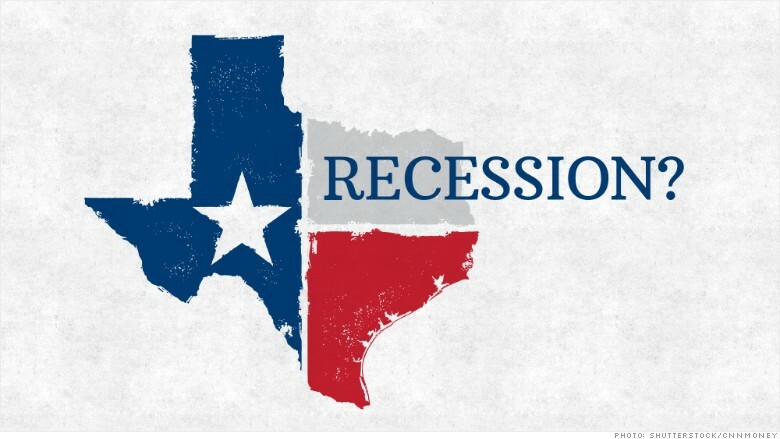 JPMorgan went as far as to predict Texas could fall into a recession. Housing market fallout: In the not too distant past, Credit Suisse was calling for brisk growth of up to 14% in Texas' home construction industry. Now the bank predicts a 20% drop because of the "knock-on effects" caused by job losses and reduced confidence from the energy slide. That would represent a dramatic turnaround for Texas, which enjoyed a 7.5% jump in single-family permits in 2014, easily outpacing tepid growth of 0.5% nationally. Lennar (LEN), a homebuilder with a big presence in Texas, said so far it's only seeing a little pullback at the higher end of the market. But it's preparing for more trouble ahead. "We're smart enough to know that if oil prices continue to be depressed, there'll be some negative reaction in the market," Lennar CEO Stuart Miller said during a conference call last week. 1980s all over again? 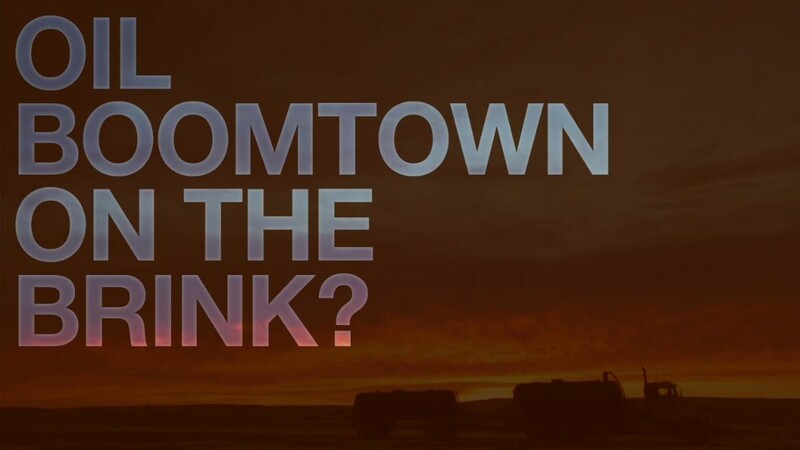 There is a history of oil meltdowns seeping into the Lone Star state's real estate market. When oil prices plummeted 50% in the 1980s, home prices dropped 14% from their peak, according to JPMorgan. Houston was particularly hard hit, with housing permits nose diving 75%, Credit Suisse said. Yet Houston is not as reliant on the oil and gas world as it once was. It's attracted workers from many other industries, including medicine, finance, technology and education. "The number of jobs being created and people moving into Houston is so great compared with the 80s," said Cheri Fama, president of John Daugherty Realtors, which caters to the luxury market. So far, Fami said her firm isn't seeing any signs of a slowdown. Avoid homebuilders: For now, Credit Suisse is telling investors to steer clear of homebuilders with heavy exposure to oil-centric markets like Houston, Dallas, San Antonio, Austin and Denver. Earlier this week the bank slapped a sell rating on Pulte Homes (PHM), Meritage Homes (MTH) and Ryland Group (RYL). Shares of all three homebuilders are down on the year. "Don't feel an urgency to own any builders at this time," Dahl wrote.